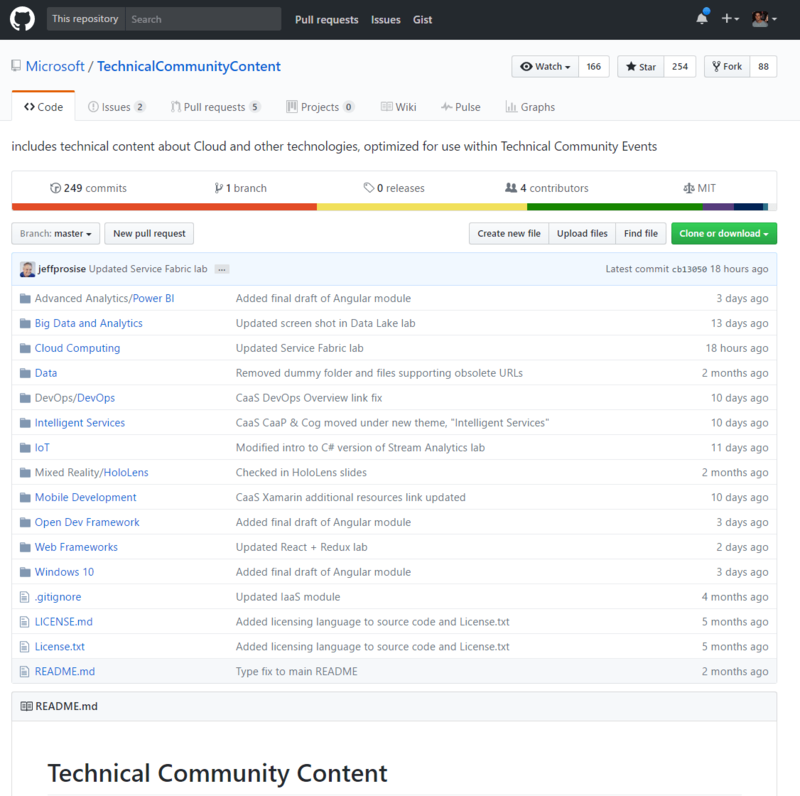 The contents of this Repo have been produced by and for Technical Community Groups who are interested in Microsoft but also non-Microsoft Technologies. Microsoft is hosting these community produced topics under the /Microsoft Github domain as we are convinced that these topics can be valuable especially for Community Event Leaders who are planning to cover a related technology on any upcoming Community Event. The top-level folders in the repo represent high-level topic areas. Inside the top-level folders are topic folders containing community-ready content that’s pivoted so you can use it for several sessions with a community group. (For example, in the folder named “Open Dev Framework,” you will find material on how to use Docker with Azure and run Docker containers in the cloud.) Each topic folder contains a PowerPoint deck that can be used in the first speaker slot with a community group. The other folders go into more detail on the topic and include hands-on material that you can use in follow-up sessions with the same community group as Hands-On Labs (HOL) or demos.